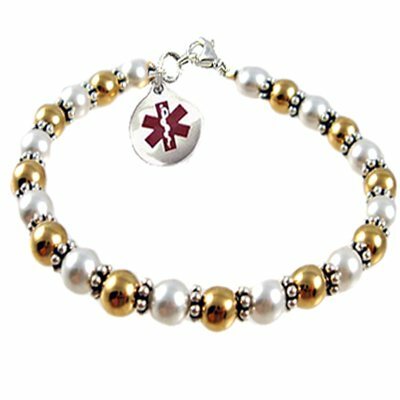 Now our Golden Pearls strand is available as a Medical Charm bracelet! Add a dash of romance to your jewelry collection with these sparkling white Swarovski crystal pearls and 14k gold-filled seamless rounds & Bali sterling dotted-edge spacers. A gorgeous combination of gold-filled beads and Swarovski crystal pearls! 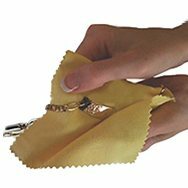 Price includes beaded bracelet one round Deluxe stainless steel Medical charm with traditional etched engraving!